Also known as Local Co-op Month, or The Best Acronym I Could Think Of For August. The last month of our Australian winter, which starts tomorrow, is rarely the domain of many exciting videogame launches. It’s traditionally the last moment of quiet before the likes of FIFA begin to ring in the year’s most gigantic holiday releases. However, if you happen to be a fan of getting a bunch of mates round for some good old fashioned couch co-operative sessions on your favourite gaming system, you have plenty of reasons to be excited for this August. There are more local friendship-destroyers launching in 2013’s eighth month than you can shake a pair of controllers at, which comes as quite a lovely lump sum following the relative drought of such titles throughout the first half of the year. I’ve listed the promising eight I know of in this very article. Well this is by far the most movie reviews I’ve written in a single month. So let’s talk about how terrible X-men Origins: Wolverine was. It told a largely made-up story that cobbled together as many mutants as possible (apparently X-Men: The Last Stand didn’t teach the producers any lessons about that mistake), though most of those mutants were far from fan favourites and the ones that were (e.g. Gambit, Deadpool) were either barely in the movie or horribly mishandled in more ways than one. The CGI was notoriously terrible, which hampered its overly ambitious action sequences and admittedly kinda cool early treatment of Wolverine’s near-agelessness. I gave it a pass when it was first released because it could never actually have been quite as terrible as people were making it out to be at the time, but my opinion of it has deteriorated rapidly over the years nonetheless. It has few redeeming qualities and I cannot bear to watch it again. I mean, just watch this Honest Trailer from ScreenJunkies. It sums things up pretty well. 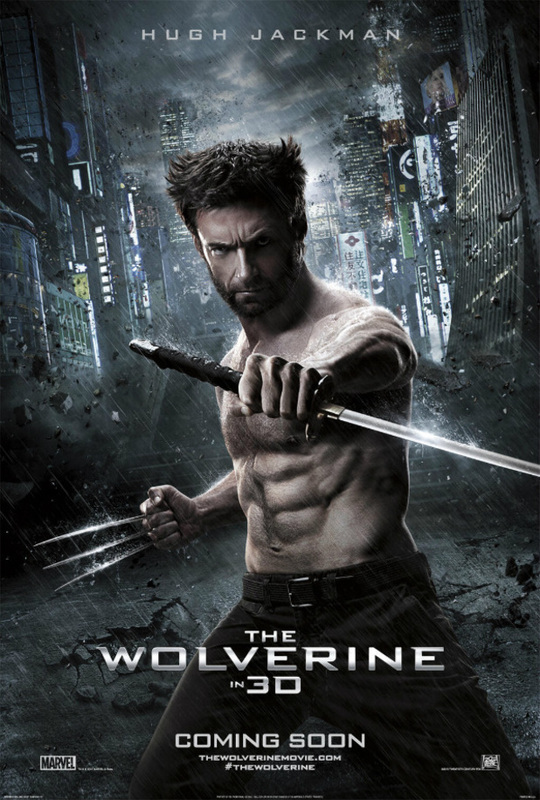 Glad we got that out of the way, because The Wolverine is a much, much better film than that travesty. Let’s just ignore the fact that such a feat should not be difficult and read on to find out why. I saw this bombastic movie over a week ago and I wasn’t really intending to review it; to be honest I think it’s a pretty simple equation. But I’ve seen and heard some negative things about the film since then that have been blown way out of proportion, so here we go anyway. 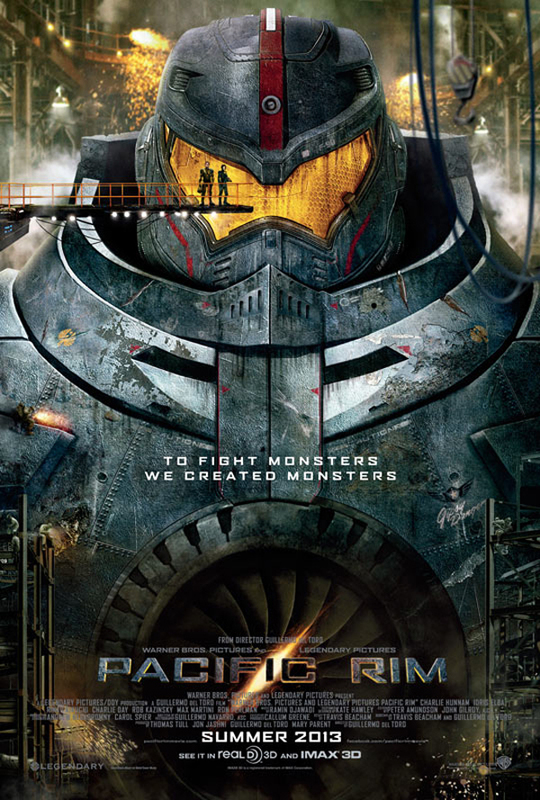 As the last real big action blockbuster of the American summer, Pacific Rim promised a certain brand of fresh sincerity amidst a rather bleak landscape of introspective superheroes getting down on the fact that they’re superheroes. It promised a film featuring giant robots fighting giant aliens, helmed by one of the most passionate directors of our time. As it turns out, Guillermo Del Toro‘s personal homage to essentially every humongous mecha anime ever (like many Mexicans his age, Del Toro grew up watching a huge amount of Japanese-produced television because of how relatively cheap it was to broadcast compared to Hollywood content) pretty much delivers on that promise. If you want to keep reading this review, by all means please do – as always I appreciate your interest and support. But if the idea of giant robots fighting giant aliens grabs you, rest assured this movie does that idea fantastically and you NEED to go see this movie. Go. That devious moustachioed entrepreneur wants to charge $80 for this. The Wii U needs them. Pretty badly. Barring Lego City Undercover and Monster Hunter 3 Ultimate back in March, admittedly both good titles, there has been a whole lot of nothing released for the console since December last year. But starting with Game & Wario, the gaming giant is set to release a relatively steady stream of quality leading all the way up to Christmas. 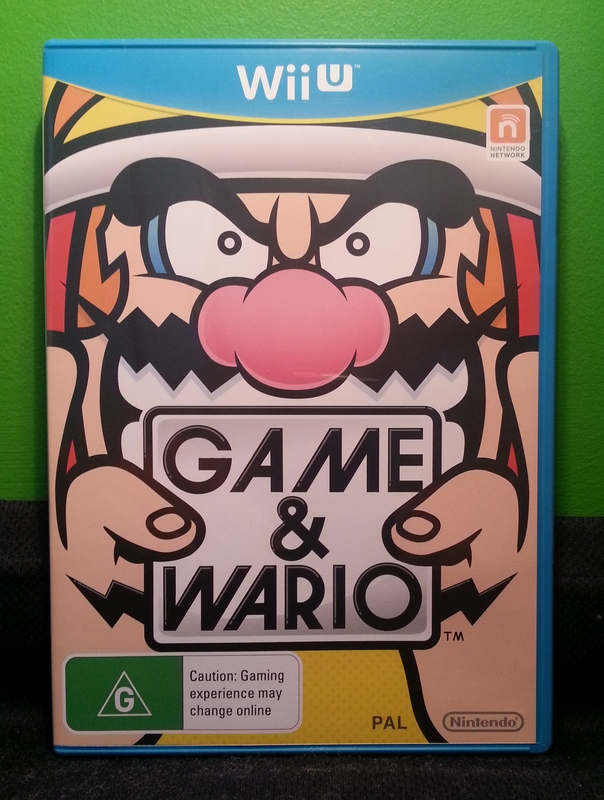 Whether you enjoy Game & Wario will depend on whether you think it’s worth paying full price for a game that packs just as much fun and imaginative content as it does dull and lifeless “ideas”. 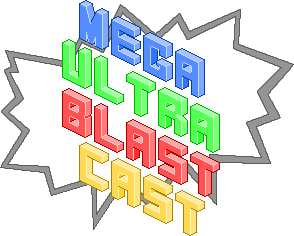 Episode 3 of the Mega Ultra Blast Cast (MUBC) is now up! In this episode the three of us spend a lazy Wednesday afternoon discussing all the many wonderful games we have been blessed with of late. We also find time to talk about our thoughts on Man of Steel and three other movies, discuss the merits of Amy Adams, Kristen Stewart and Emma Watson, then introduce a new segment! If you feel so inclined, download the following file (or just click play), go for a run, take a scenic drive or just curl up on the couch and listen to the irritating opinions of three caffeine-fueled Sydneysiders. If you like what you hear please share the cast with your friends and like our brand new Facebook page. Enjoy! 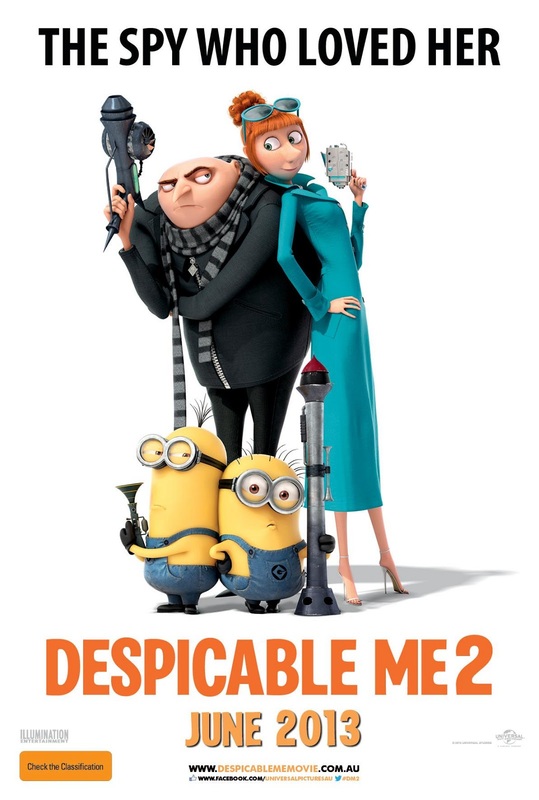 Here’s the second of two quick-fire animated movie reviews! What’s not to like about the Despicable Me set-up? The first film was regularly hilarious, unexpectedly heartwarming and packed some impressive visual tricks. It stands as one of my all time favourite animated movies to this day and I’ve seen it quite a few times. So when I heard there would be a sequel directed by Pierre Coffin and Chris Renaud, the same two people at the helm of the original, needless to say I was pretty excited. While the sequel doesn’t quite live up to the legacy of the first movie, it contains enough laughs and charm to come with a recommendation from yours truly.